The perils of the flame pit in UK Robot Wars! 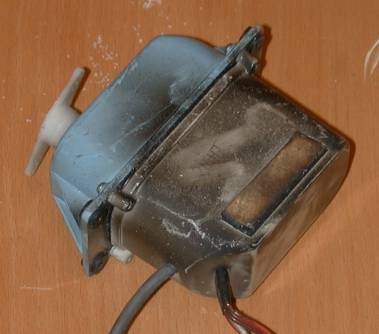 This is one of the steering servos after we were held over the flame pit. Fortunately we were pushed off after about 5 seconds, so no real damage. We have broken several of the plastic output 'horns' on the old PS050 steering servos (above), despite the friction clutches, and I couldn't see a better way of connecting them to the timing belt pulley, so I decided to try something different. 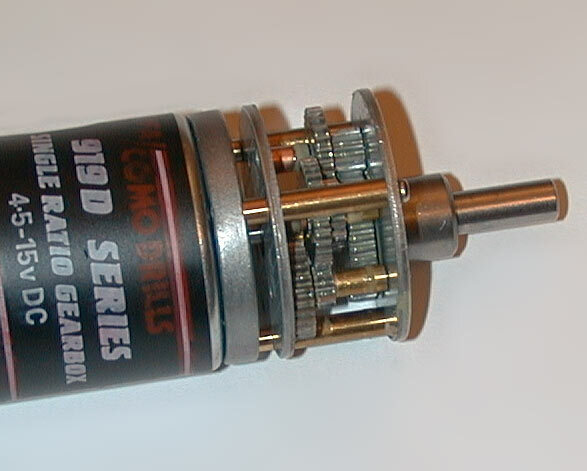 Bought a pair of MFA/Como Drills gearhead motors from the local model shop. 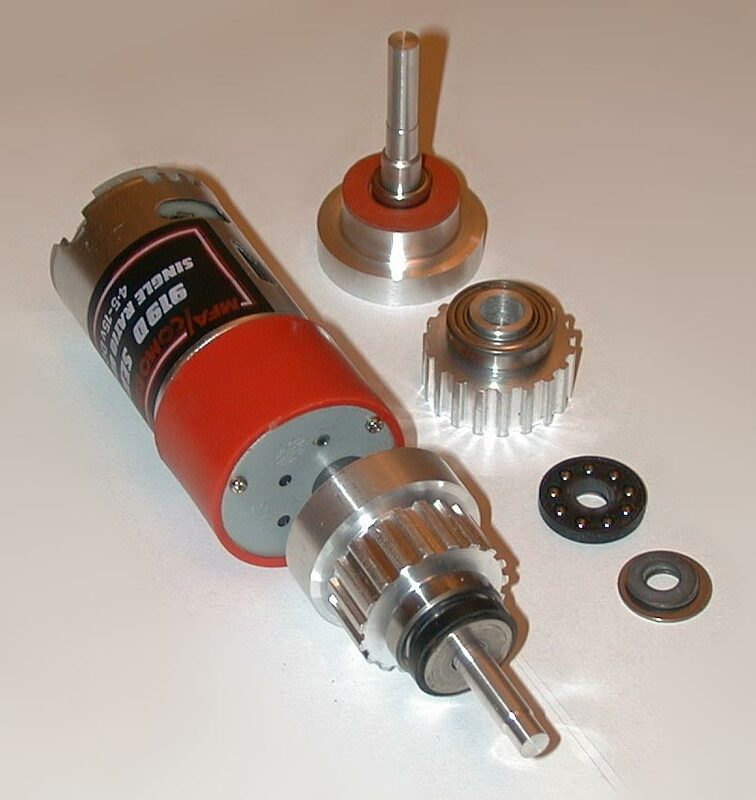 These ones use 500 style motors and have a 50:1 gearbox. They say you can run them at up to 15Volts, but they get pretty hot at 9.6V, so I'll probably run them on 8.4. 240rpm output at 9Volts. Using the electronics out of the old servos - works fine. Made up new friction clutches to protect the gearbox. Fibre washer is clamped between two ally faces. More compact than the old arrangement too, possibly making enough room for extra buffer tanks. The large bearing will fit into a bracket attached to the chassis, so taking most of the steering loads, rather than the gearbox. Close-up of the all-metal gearbox. Most of the gears in the old servos were plastic.